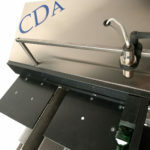 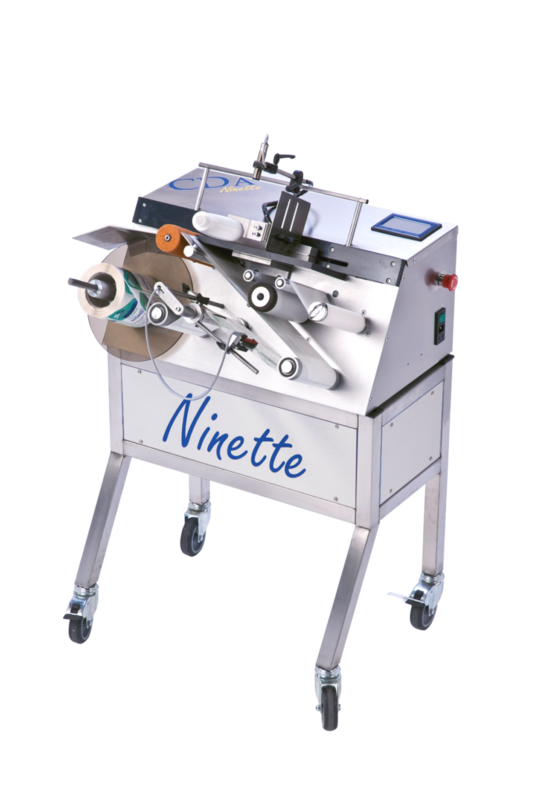 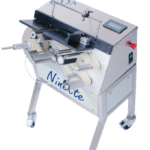 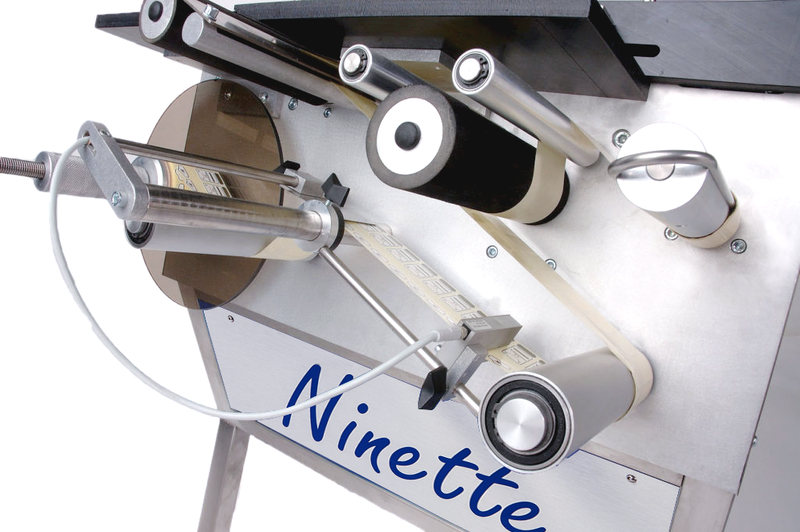 The CDA Ninette Flat is a semi-automatic adhesive labelling machine that allows precise and efficient labelling of a very wide range of square, flat, rectangular and oval products (bottles, jars, cartons, cans, shower gel etc). 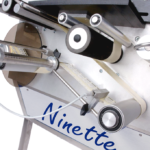 With the capacity to label up to 12 products per minute depending on the type of format, our semi-automatic flat surface labelling machine impresses with its ease of use and excellent price/quality ratio. 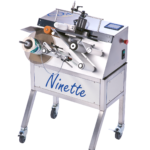 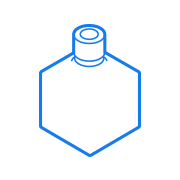 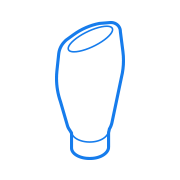 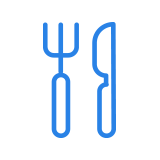 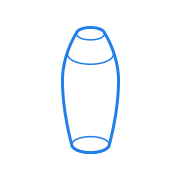 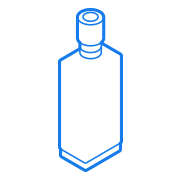 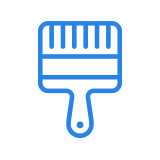 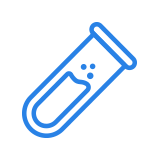 The Ninette Flat can be used in all sectors of activity: food, cosmetics, chemistry, painting, etc. 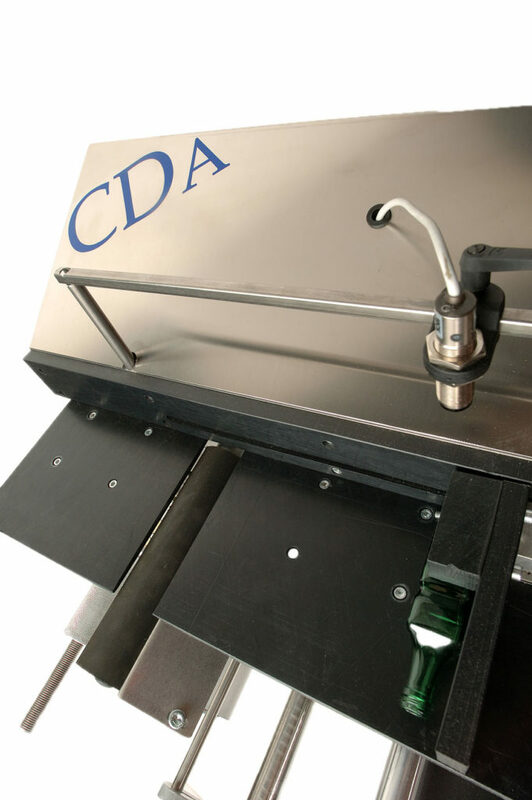 It can also be accompanied by an automatic or semi-automatic CDA filling machine. 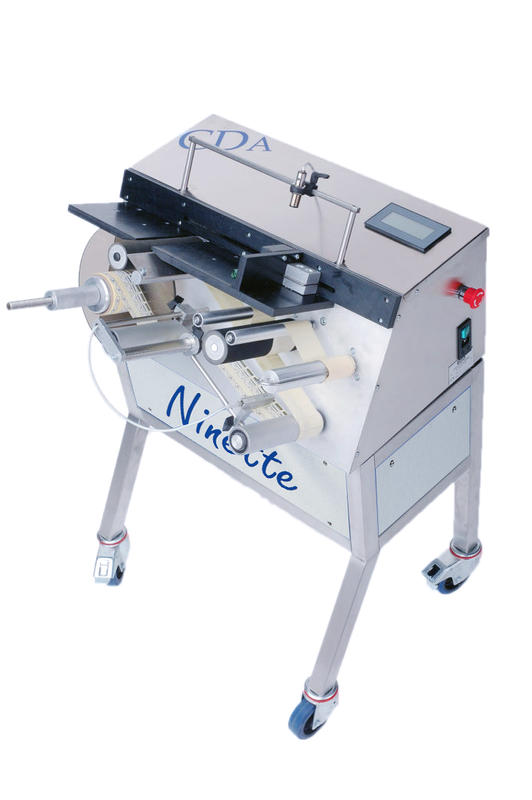 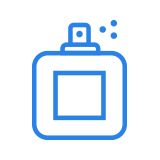 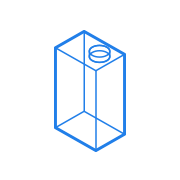 For a complete automation of the labelling of your flat products, CDA propose you the Ninon Side automatic labelling machine (side labelling), the Ninon Down automatic labelling machine (under-product labelling) and the Ninon Mix automatic labelling machine (side and bottom labelling).